Fish and cod liver oil contain vitamin D naturally. 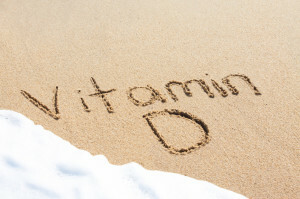 Vitamin D is one of the most popular supplements these days. Most people test low for it, most docs recommend it, and people are taking D supplements in droves. But is the high- dose vitamin D you’re taking working well for your body? High-dose vitamin D therapy might feel good in the short term. You might experience an increase in energy or a shift in your mood. Maybe you’ll feel a little stronger, or more resilient. Most people feel better with high dose therapies in the short run because of severe deficiencies in our diets and lifestyles. But over the long haul, dosing with a synthetic nutrient- in particular vitamin D- may have unwanted consequences (read more about the differences between whole foods and synthetic supplements here). When considering supplementation, it is wise to understand a few critical points about vitamin D.
1. The RDA for vitamin D is between 200 and 400iu. Doses of 50,000iu can be toxic. These days, it is common practice for professionals to recommend 4,000- 10,000iu units on a regular basis. Now, I’m not one to throw around RDAs because those numbers generally reflect isolated compounds. But when it comes to the miracles of vitamin D, more is definitely not better because of factor number 2. 2. Your body stores vitamin D. You’ve got a smart body, yes, you do. You can make this nutrient in the sun and you can also get some D’s from food. Yet, your body “knows” that vitamin D is not always readily available due to cloudy days or a deficient diet. To even things out, your body stores vitamin D in fatty tissues like your liver, skin, brain and bones [note…vitamin D is not stored in blood]. That’s good news if you’re getting your D from food sources, but if you’re taking high doses of D that means you’re at risk for toxicity over time. Vitamin D toxicity is nothing to joke about. Because vitamin D is stored in fat, toxicity is going to vary from person to person. Unfortunately, young kiddos and babies are most at risk. Does this mean that you should ditch vitamin D? Heck no, D is critical for mineral metabolism, bone growth, proper cell permeability, and a healthy nervous system. And, as it turns out, vitamin D may also have a critical role in hormone production through the thyroid and parathyroid glands. A healthy body stores extra vitamin D for cloudy days. 1. Eat foods high in vitamin D: Our bodies can’t make vitamin D on it’s own, but we can get significant amounts from our food. Higher levels of vitamin D are found in fish, butter, cheese, liver and eggs. Fatty fish, like tuna and salmon, rank the highest in vitamin D.
2. Take a break in the sun: A young, healthy body can make up to 10,000iu of vitamin D in one day of sun exposure. For most of us, plenty is made within 10 minutes of sitting in the sun. Skip the sunscreen and peel off the sunglasses, and give yourself the gift of 10 glorious minutes of vitamin D therapy in the sun. 3. Supplement with cod liver oil: If you’re still not convinced on the amount of D that you’re getting in any one day, cod liver oil might be your best bet to cover your bases. Look for an oil that is not tampered with or processed with peroxides, with a ratio of 10:1 vitamin A to D. You can find a high-quality, fermented cod liver oil here. Switching the high-dose Vit D to low-dose-but-works-like-a-charm cod liver oil may not seem like a big deal, but your body undoubtedly knows the difference. Now, I’ve got a question for you. I want to hear your story. How do you get vitamin D? Have you been taking a high-dose supplement or are you already a fan of natural sources? Sources: DeCava,CNC, LNC , The Real Truth About Vitamins and Anti-oxidants, pp. 97-106. D.R. Fraser, “Vitamin D,” The Lancet, Vol. 345, No.8942, (14 January 1995), pp.192-198. D.J. Barnes, M.J. Brady, and E.W. James, “Comparative Value on Irradiated Ergosterol and Cod Liver Oil as a Prophylactic Antirachitic Agent When Given in Equivalent Dosage According t the Rat Unit of Vitamin D,” American Jounal of Diseases in Children, Vol.39, (1930), p.45. R.A. Buist, “Vitamin Toxicities, Side Effects and Contraindications, “International Clinical Nutrition Review, Vol. 4, No.4, (1984), pp.159-171.